Fiber to the home communities are empowered communities; and that is perhaps nowhere more evident than in rural areas.  Fiber can begin to dismantle the barriers of distance for rural communities and is a foundation for rural economies. In America’s rural communities: Parents want the same opportunities their kids could get in an urban setting; landowners are looking for ways to compete in the face of increasing costs; leaders seek to stimulate economic activity, entrepreneurship and job creation; and everyone wants improved access to health care, safer neighborhoods and more efficient government services. Fiber networks—to the home and the school—can lower the barrier of distance and providing access to world-class educational resources. Distance learning offers courses that would otherwise not be available. For example: the Northwest Minnesota Special Access, a consortium of rural telecommunications providers, connects schools and homes, enabling students to take advanced placement, foreign languages and other specialty courses. Using remote monitoring sensors and increased computing power public safety officers can deploy personnel and resources more effectively. Managers can track, in real‐time, police, fire and ambulance resources. They can access electronic health records on the way to an accident. Medical personnel also are able to transmit real‐time biometric readings from the patient and send high‐quality video of the patient’s status to the medical facility in advance of their arrival. Police have real‐time access to criminal databases and on‐site video surveillance feeds via their handheld wireless devices. The U.S. spends more on healthcare than any other developed nation and costs are only expected to rise. Chronic health conditions, which account for 75% of health care costs, are rising across all age groups.In rural areas, the challenges are even greater—studies show rural Americans have greater difficulty accessing health care than urban or suburban residents. Fiber can close the distance and make healthcare more accessible. Remote medical diagnostics and monitoring enables quicker, more economically efficient access to specialists. 13% of FTTH users have a home-based business with over $10,000 estimated incremental income from FTTH. Precision agriculture, using ultrahigh-speed fiber to communicate, enables efficient crop management, leading to higher yields and less waste. Swanberg Farms in Lyford, Texas, relies upon fiber from Valley Telephone Cooperative to its offices and outbuildings to monitor commodity prices and weather forecasts. John Deere is working in several markets to show how connected equipment (through fiber to the tower and to the land) makes precision ag possible. We know why delivering fiber-fed networks is so important, so in the links to the left, learn how to bring fiber to your community.